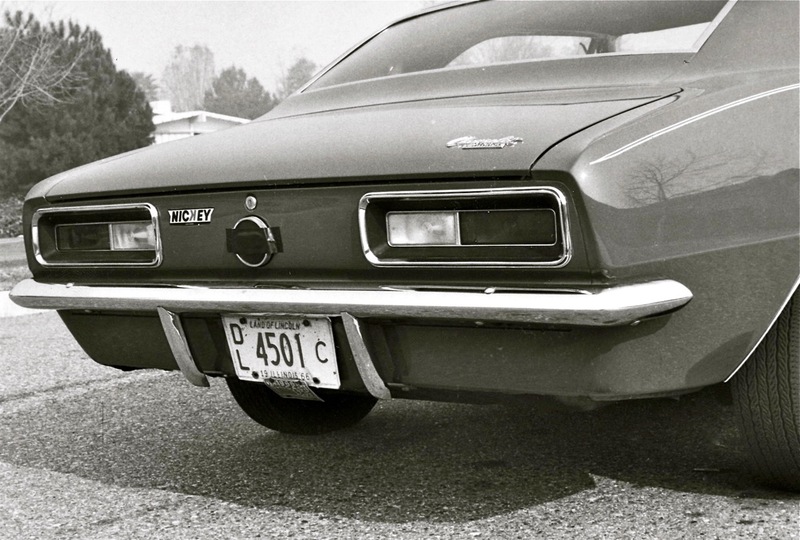 Within months after Chevrolet’s September 1966 introduction of its all-new ’67 Camaro, Nickey and Nickey/Thomas SS427 Camaros were on the road. Bill Thomas Race Cars, Anaheim, CA built 427 Camaros for California customers, while Nickey Chevrolet, Chicago, IL covered the rest of the country. 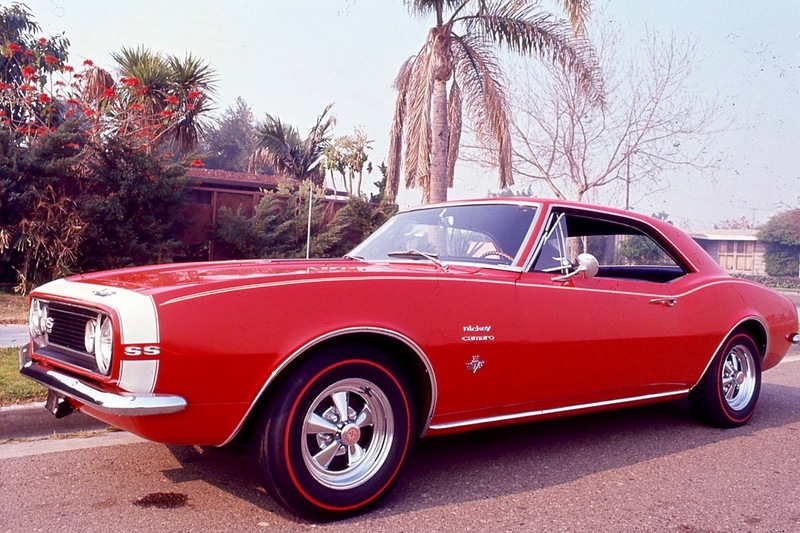 Built on a Bolero Red SS350 donor, I drove Bill Thomas’ first SS427 Camaro around Orange County in early 1967. It retained its original 350 emblems and 1966 Illinois dealer tags. My reason for visiting Bill Thomas was not to sample one of the Nickey 427 Camaros. 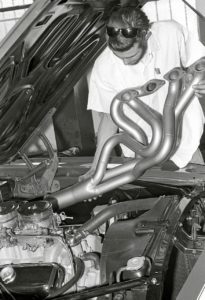 I was working on stories about race-prepping fuel-injected Corvettes, improving the performance of Gen I and Gen II Rochester fuel injection and exhaust tuning. Bill Thomas was absolutely brilliant in those areas. His background included building and tuning road race and drag cars and creating the radical Chevy-powered Cheetah. In 1962 he tuned Hayden Proffitt’s NHRA World Championship ’62 Chevy 409 Bel Air. When I was there, he was building big-engined cars with Bonneville-type rear gearing, which included 427 Camaros, for serious street racers who used LA and Orange County freeways as racetracks. He jokingly referred to them as “Freeway Freedom Fighters.” The 427 Camaro he offered me was more suited for the quarter-mile than for freeway cruising. Basic Nickey/Thomas 427/425 Camaros were $3,711, while the prototype-demo Camaro I drove listed for approximately $4,300. 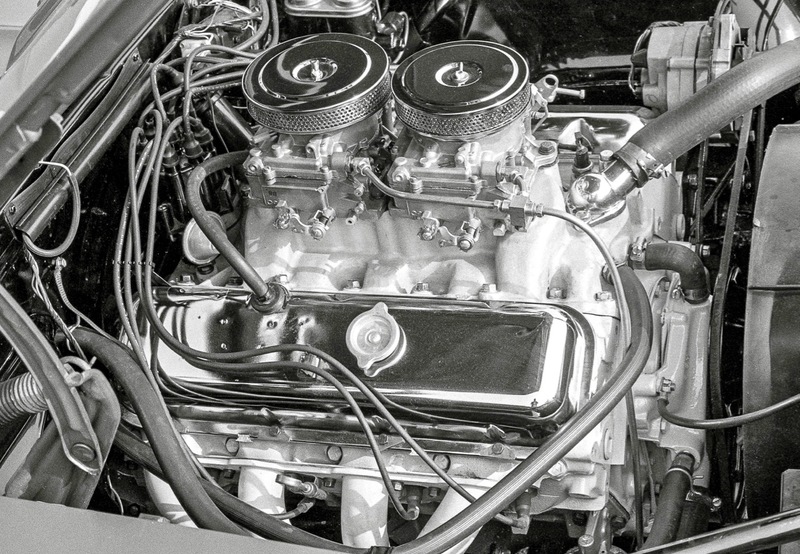 In addition to the base 427/425 engine, four-speed, Posi and standard factory equipment, Thomas added chromed Cragars, his own traction bars and headers, 4.88 rear gears, Cure-Ride shocks and dual Carter AFB quads on a low-rise aluminum manifold. The Thomas-tuned engine, with yellow-painted block and heads, was rated at 450 horsepower at 6,000 rpm. I found the rear gearing to be well suited for a drag strip, but not desirable for normal driving. At freeway cruising speeds the engine revved around 5,000 rpm! On the bright side, stopwatch 0-to-60 blasts came in around 5 seconds. Thanks to Thomas’ new traction bars and specially valved shocks, typical wheel hop was greatly reduced.